Voted by you, styled by me, May’s winning style was born from saving a bad twist out. Whether your twist out came out beautifully – or not – this style’s a cute way to add a simple something to a free fro. Thank you to all of the ladies who shared their April Back Tuck style versions with me. 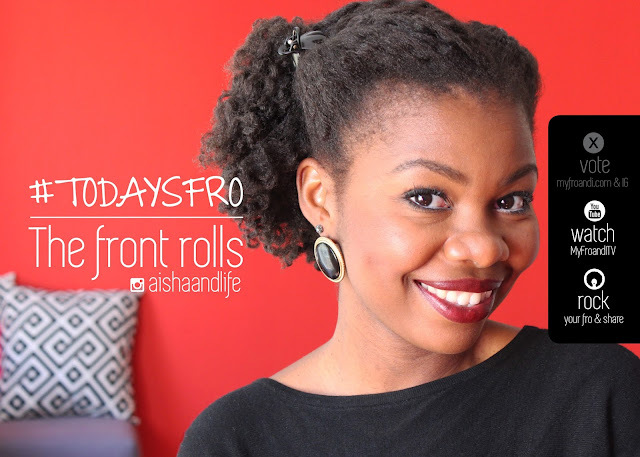 If you’d like a chance to be featured on my Instagram or Facebook page, tag me @aishaandlife and #todaysfro in your version of the Front Rolls. Previous Post Are You a Closet Natural?